Identifies the most salient grounds for pretrial motions, explains the issues that commonly arise, and provides a succinct statement of the governing law. Criminal practice demands that lawyers consider a far-ranging array of pretrial challenges regardless of whether the case is actually tried at some later point. 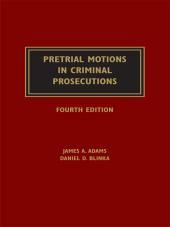 Pretrial Motions in Criminal Prosecutions is a readable and convenient single volume discussing critical areas of pretrial motion practice and issues relating to the myriad of motions that may be brought in a criminal prosecution. A sample omnibus motion is provided to demonstrate how a lawyer can skillfully encompass multiple considerations in a single motion. 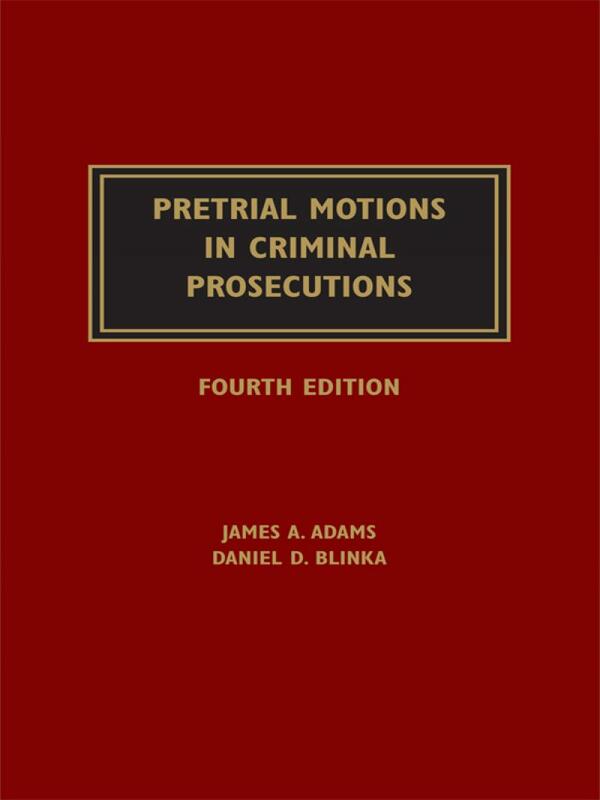 Expert author Daniel D. Blinka identifies the most salient grounds for pretrial motions, explains the issues that commonly arise, and provides a succinct statement of the governing law. Pivotal Points conveniently highlight more important aspects of an issue, and extensive use of federal case law makes this treatise a dependable reference for attorneys in all jurisdictions. Use the author's first-hand experience to learn about the law of pretrial motions as it is actually interpreted on the streets and in courts of law. 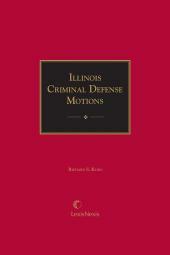 Clearly written and comprehensive in scope, Pretrial Motions in Criminal Prosecutions offers expert insight on such issues as motions to suppress, search and seizure, and identification procedures, as well as current guidelines governing specific pretrial motions such as withdrawal of counsel and disqualification of a judge. 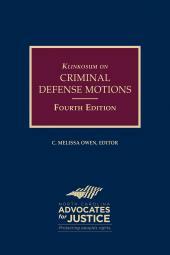 Extensive case citations illustrate the applications of the law.